LAS VEGAS – January 9, 2018 –Today at CES® 2018, Huawei Consumer Business Group (CBG) revealed that its breakthrough HUAWEI Mate 10 Pro will be available in the U.S. through major electronics retailers, including Best Buy, Amazon, Microsoft, Newegg and B&H beginning on February 18, with pre-orders beginning February 4. Huawei also unveiled the world’s first hybrid smart home network solution. The HUAWEI Wi-Fi Q2 series is a true plug-and-play Wi-Fi system designed for the entire house. With its impeccable design, smart functionality, long lasting battery power, and New Leica Dual Camera, the HUAWEI Mate 10 Pro will be available unlocked for USD $799 in Midnight Blue, Titanium Gray and Mocha Brown and will be on display at select Best Buy stores and BestBuy.com. 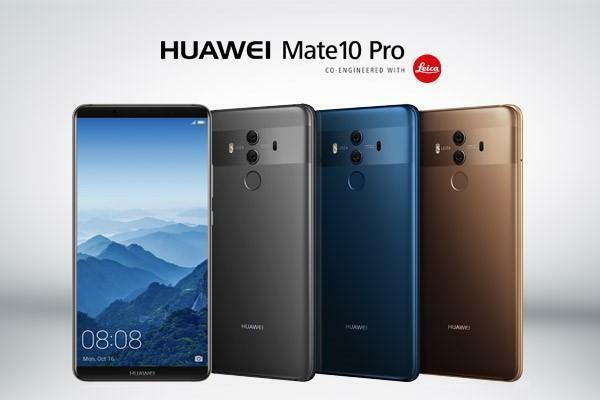 The unlocked HUAWEI Mate 10 Pro will operate on GSM networks in the U.S. including AT&T, T-Mobile, Cricket, MetroPCS, Simple Mobile, and Tracfone, giving consumers the flexibility to choose their carrier and contract. In addition to the HUAWEI Mate 10 Pro, the new Porsche Design HUAWEI Mate 10 will be available for $1225 beginning February 18 through major electronics retailers including Best Buy, Amazon and Microsoft as well as from end of February in Porsche Design Stores in the US. The Porsche Design HUAWEI Mate 10 offers the ultimate in premium design. As the most exclusive of all devices across the HUAWEI Mate 10 Series, it combines Porsche Design’s aesthetic craft with Huawei’s mobile engineering expertise. Its unique front and back cover design are entirely encased in elegant yet robust glass and come in a luxurious and exclusive Diamond Black color. To support the growing list of Wi-Fi connected products in the home, Huawei unveiled HUAWEI Wi-Fi Q2 Series, a hybrid home Wi-Fi system. The HUAWEI Wi-Fi Q2 Series is simple to set up, and automatically connects users to the fastest hotspot and frequency to ensure a strong and reliable signal throughout the entire house.